Since the iPhone 4 was released last week, it was plagued with problems. Users reported its antenna issue. While Apple claimed that a software update will fix that with Steve Jobs declaring that “all phones have a weak spot”, it did not really seem they cared much for the end user experience. However no formal lawsuit is filed yet and the firm says that its conduction only preliminary investigation into the issue. Apple did not comment on this however it did reiterate that users can expect the iOS 4 update this week which will resolve the death grip issue. It will be interesting to see if Apple will be sued over its failure to test the product properly and to sell a defective device to its users. Although it is true that all phones have a weak spot but not this obvious! 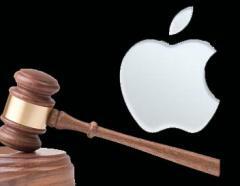 Apple has also been a target of another potential lawsuit recently. While it’s true that every phone has it’s flaws, not every phone costs 700 dollars. Sure, iPhone is expensive and when u r shelling out such high bucks u better get a perfect product … we deserve the best for the price quoted!